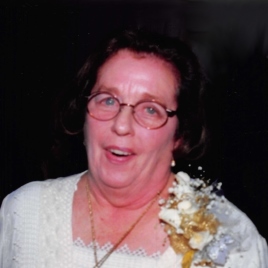 Doris Theresa Chase Baril, died at the age of 91 on Saturday, March 30, 2019 at the John J. Hainkel, Jr. Home in New Orleans. She was the beloved wife of the late Albert Baril. Jr. for 59 years, daughter of the late Charles Milton Chase and Irene Durham Chase, mother of the late Paul Daniel Baril and sister of the late Edris Chase Melancon. She is survived by her children, Charles Albert Baril, David Chase Baril (Eileen), Martha Irene Baril (Haris Tsaoussidis), Mary Ann Baril and Aimee’ Marie Baril Souther (David), 5 grandchildren, Andrew David Souther, Stephen Timothy Souther, Rachel Elizabeth Baril, Chase Andrew Baril, Eleni Grace Tsaoussidis, a sister, Mary Kathryn Chase Villere and a host of nieces and nephews. She was born in New Orleans and graduated from Mercy Academy and received a Bachelor of Arts Degree in Spanish from Southeastern Louisiana University. Family and friends are invited to attend the visitation on Saturday, April 6, 2019 from 11:am until 1:00 pm at Greenwood Funeral Home, 5200 Canal Blvd., New Orleans followed by a Funeral Mass in the Greenwood Funeral Home Chapel at 1:00 p.m. Interment will follow in St. Patrick Cemetery No. 3.